There are some interesting freebies and discounts available at present (and, in the future, more will be listed on a Discounts and Freebies page). LostCousins is totally free to 2 May 2011. This is probably the only web site that has virtually 100% accuracy in matching people who share the same ancestors. You do not waste time corresponding with people who are not related to you. To use LostCousins you need to have found relatives in one of these censuses: USA 1880 or 1940; Canada 1881; Scotland 1881; Ireland 1911; England and Wales 1841, 1881 or 1911. Be sure to enter data for brothers and sisters of your direct ancestors, as it is their descendants who are most likely to have letters or photos from your line. Start by reading the LostCousins 'How-to' page. Remember to log in periodically, go to your 'My Ancestors' page and click 'Search'. Free access to Gale's historical newspaper and periodical collections, including more than 10 million digitised pages, to 24 April 2011. 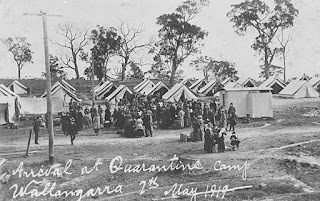 In honour of ANZAC Day, free access on Ancestry during this Easter long weekend to 40 million military records for Australia, New Zealand, UK, Canada and USA. England & Wales marriage indexes 1837-2005 on Ancestry are free to search to 30 April 2011. Until 5pm AEST 27 April 2011, order a New South Wales full certificate transcription for just $16. When I hear about more offers, I will list them on the Discounts and Freebies page on my main Web site. 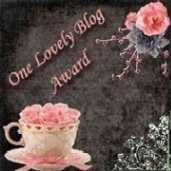 I was delighted to receive the One Lovely Blog Award for this blog (from Ros), for Queensland Genealogy (from Helen and Kay) and for Jottings, Journeys and Genealogy (from Chris). I hope you find them interesting, informative and entertaining.